Revive the decoration of your home and add an ethnic touch to your décor by placing this kilim carpet. It is made in pure wool and cotton material in India. This kilim rug is 100% hand washable area rug. This special carpet is hand-woven for a traditional interior. 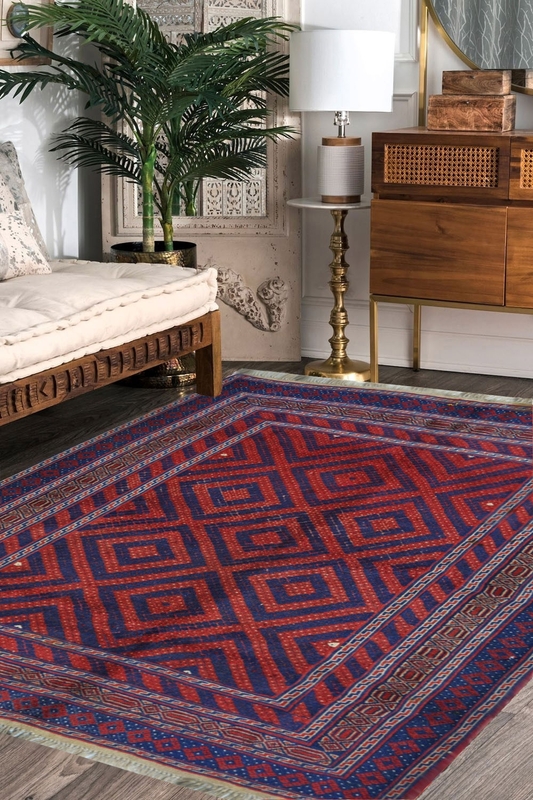 It contains blue and red color which is suitable for classic home décor with a geometrical design. It has layered bordered which is uniquely designed by our craftsmanship. It is woven in wool and cotton material. It is a highly durable rug and 100% hand washable rug.